Since the past fortnight or so Belagavi and villages near Khanapur have been a buzz with the Tiger trail in various villages of Khanapur like Gavali, Santibastwad etc. The peak was when the tiger was spotted by s student in VTU campus Macche, on Monday morning. Since then there has been some activity in actually tracing the tiger. Sources have confirmed it was a TIGER only that was seen by the student and then others on Monday. 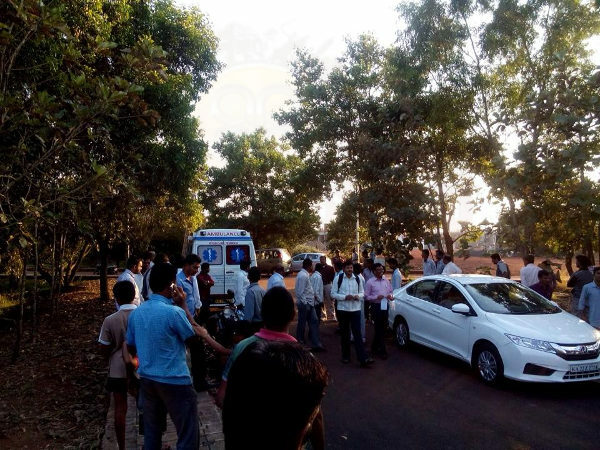 The last sighting of the Tiger was near the Xavier’s ITI near the VTU campus on Monday evening at 7 pm. After that the tiger has not been sighted. 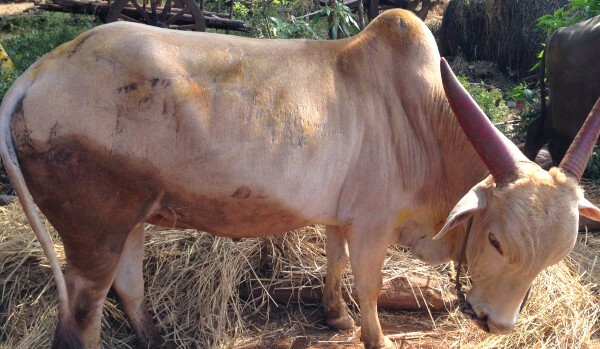 Team AAB went into the search of the tiger trail and reached Teerthkunde, where the tiger had attacked an ox on Sunday at 4pm, but luckily the Ox had escaped with minor injuries. In Santibsatwad the forest department had made an announcement on Monday night at 11 pm saying the tiger has moved away from VTU and could pass through the village, and hence each one must be alert. The Tiger Rapid rescue team was seen in VTU and surrounding places trying to trace the tiger. Its not clear as to if this tiger has a radio collar tag as no signals were received in the area. Villagers in Santibastwad were fearless and said now we dont fear the tiger anymore, we cant sit at home we have to go out and earn our bread and most of them were working in the fields. Villagers said if the tiger was not caught in VTU campus it is very difficult for them to catch it elsewhere. it is not so easy to catch a tiger, it is well know now. . . When it start attacking on village people, then no can stop that tiger, and it has become a very serious matter, wen it attacked on women and animals. . .
My suggestion and idea, make an ambush, think like a tiger, get 4 to 5 trails and tie a alive goat inside the trailer and keep those trails only on those place where tiger or tigers pagmark has been spotted. . . And i am sure, this will work 101%. . . No need of dhat guns. . .